Auschwitz, the largest Nazi German death camp, became a symbol of terror, genocide, and the Shoah to the entire world. Operating today on its premises is a museum that at the same time is a memorial of remembrance. Oświęcim: one of the oldest Polish fortified towns, whose history spans over 800 years, entered the popular imagination primarily due to a tragic chapter in its 20th-century history. It is here that the Nazis set up the Auschwitz I concentration camp, which together with the Auschwitz II camp in Birkenau (Brzezinka) became the largest Nazi death camp. By 1945 nearly one and a half million people had been murdered here, mostly Jews from all over Europe, but also many Poles, Roma, and Russians. 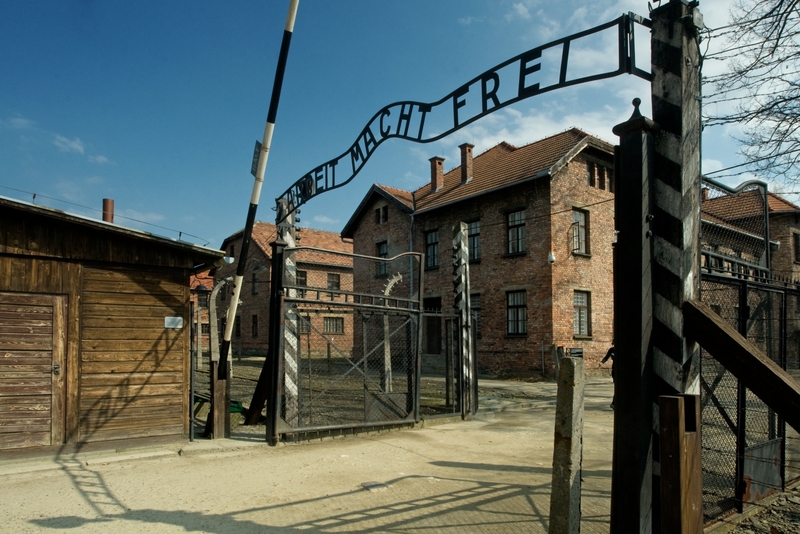 In 1979, the premises of the former Auschwitz Birkenau camp were entered on the UNESCO World Heritage List. Visiting the Auschwitz Birkenau Memorial is free. Groups are obliged to hire an official museum guide. Individual visitors may choose between independent visits and the so-called tours. A tour covers the former camps Auschwitz I and Auschwitz II – Birkenau with a guide, renting a headset, and a shuttle bus. Due to the vast interest in visiting Auschwitz Museum Memorial, booking your entrance card (for independent visits, tours, and groups) from the website visit.auschwitz.org is recommended. Only online booking guarantees that you can enter the museum at your preferred time. Arriving without prior reservation, visitors may receive entrance cards on the spot, yet they may have to wait for the first available time of visiting. At peak times this may mean a long wait. Visits by children under 14 are discouraged.